A summer wedding stirs up trouble on both sides of the family in this beloved bestseller from "the queen of the summer novel" (People). The Carmichaels and the Grahams have gathered on Nantucket for a happy occasion: a wedding that will unite their two families. Plans are being made according to the wishes of the bride's late mother, who left behind The Notebook: specific instructions for every detail of her youngest daughter's future nuptials. Everything should be falling into place for the beautiful event -- but in reality, things are falling apart. While the couple-to-be are quite happy, their loved ones find their lives crumbling. In the days leading up to the wedding, love will be questioned, scandals will arise, and hearts will be broken and healed. 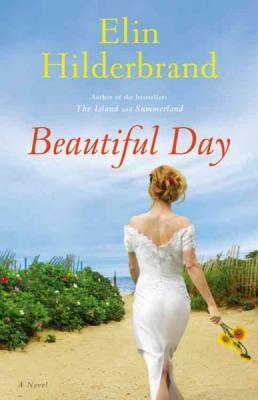 Elin Hilderbrand takes readers on a touching journey in Beautiful Day -- into the heart of marriage, what it means to be faithful, and how we choose to honor our commitments. Elin Hilderbrand has lived on Nantucket for twenty years. She runs every morning, delivers her children to their sporting events, and occasionally frequents the front row at the Chicken Box. Beautiful Day is her twelfth novel.